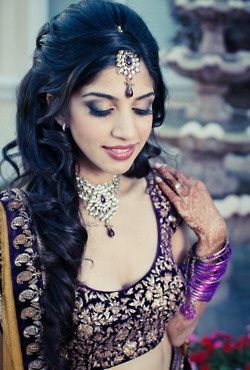 Presenting the best of the best Indian bridal hairstyles. The one stop shop for every bridal hair need! Being a bride in today’s times is a very exhausting affair. 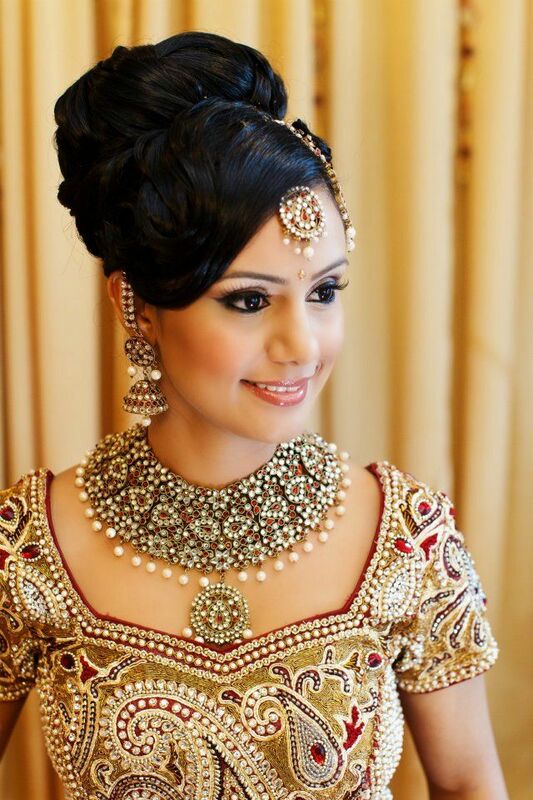 Being perfectly turned out increases the pressure on the bride to look her absolute and complete best. Though most of us focus on the results which are stunning, we tend to skip the long and tedious process that a bride has to undergo to nail down that one particular look which works with her face, her dress and her ceremony. More often than not, your clothes and your accessories will reflect the splendor or the modesty of your wedding ceremony. You will be attired keeping the ceremony you are opting for in mind. The greatest dilemma appears in small weddings. 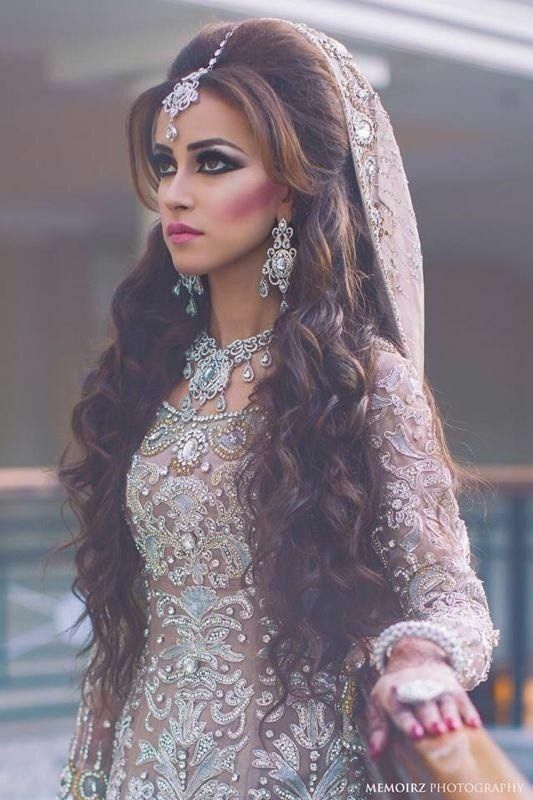 The bride has to look gorgeous and special no doubt, but she also cannot look overdressed for the occasion if her ceremony is going to be simple. For such tricky cases it is best to go for long hair left to cascade on your shoulders. Styled and blow dried, your hair will look simple but fantastic. Now of course you can’t stop there! You are the bride – and so, reach out for the maang tikkas, or other accessories like elaborate, ornate clips to adorn your hair. Another good option for such weddings that I find works very well with long hair is a slightly messy braid. A tight and oiled one will only serve to make you look like a schoolgirl, so ensure that you experiment either with the accessories that you use in your hair or with the style of the braid. Remember to not pull it back straight from your forehead because this will not only make you look older, but during the day, you will experience a terrible case of fly aways. 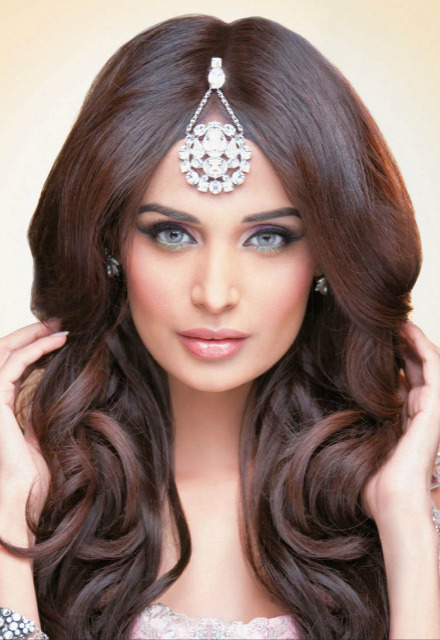 Instead try a parting of some sort with blow dried fringes and a maang tikka for a little added grandeur. The best braids are accessorized to perfection. Look beyond your usual accessories to make a statement. Opt instead for your usual traditional flowers done in a new and interesting way to bring out the beauty of your braids. For those of us not blessed with hair that behaves, buns are the best options. From traditional to super swanky, buns have a great way of fitting everything you can possibly dream up as a bride. They can be adapted to suit face cuts by altering the bangs or the partition. You can accessorize your bun in a great way with many things available online and in the market to jazz it up. 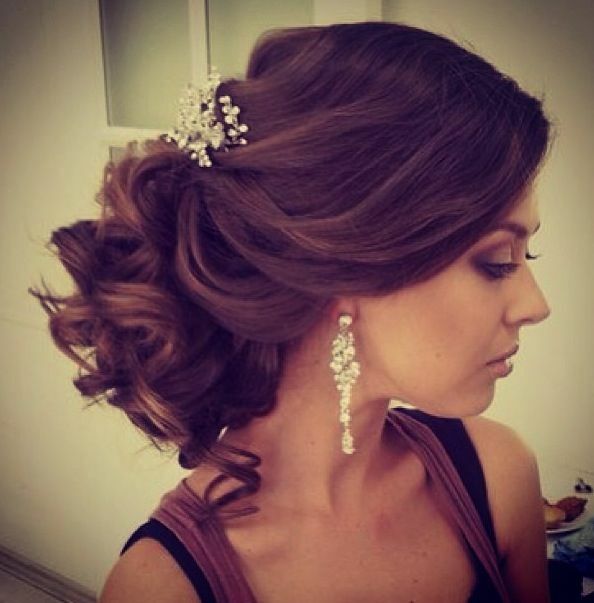 You could opt for a top bun, or a curly bun and still come of looking exciting and original for your big day. The bun makes a great choice because in most Indian wedding ceremonies, the bride is required to cover her head. It provides a neat but chic way of creating a perfect bridal hairdo. The most important thing to do before you pick the hairdo that you will opt for is to try it out with your wedding ceremony clothes, including your accessories. The overall trial will give you the exact idea about your hairdo. Find what you are comfortable with and stick with it. Check out your hairdo made in heaven here! ← Poll Tuesdays #4 – Think you know your skin well?